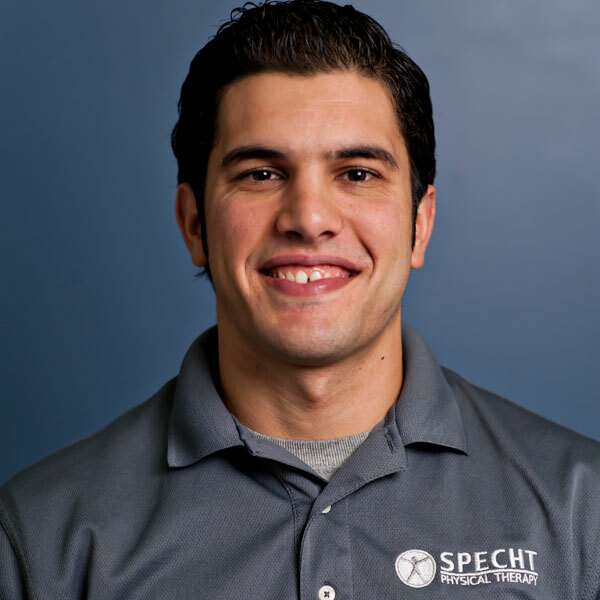 Mr. Pereira obtained his Masters in Physical Therapy from Springfield College in 2007 and joined the Specht Physical Therapy staff in July 2009 and is licensed in the Commonwealth of Massachusetts and Rhode Island. In his last position Zach was the manager of a work hardening facility at the Donley Center in Providence, RI where he specialized in evaluating patients with the Functional Movement Screen. From this experience, along with his diverse internship experiences, Zach has developed outstanding skills in neck and back treatment, ergonomics, orthopedics, geriatrics and neurological rehab. Additionally, Zach is a Certified Strength and Conditioning Specialist (NSCA) and a former collegiate soccer player, making him uniquely qualified to work with athletes of all ages and abilities.